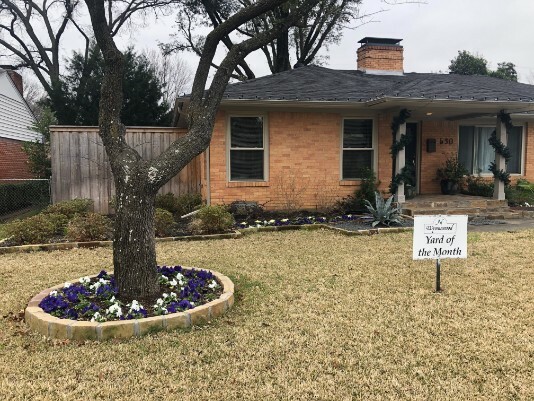 Congratulations to 520 Woolsey Dr. for being selected December Yard of the Month! 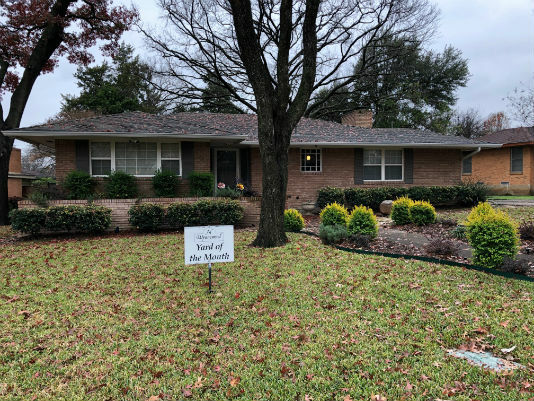 Congratulations to 715 S Manus for being selected November Yard of the Month! 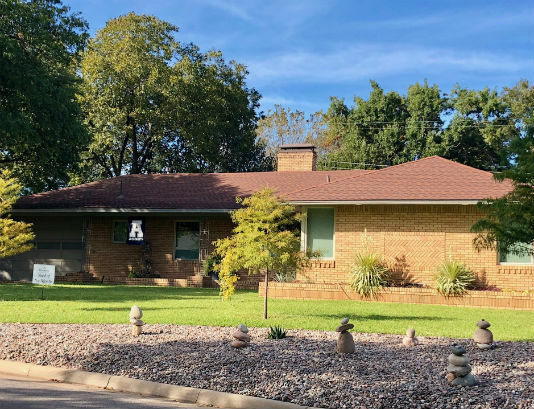 Congrats to 416 Monssen Drive for being selected as the October Yard of the Month! Help WNNA by Shopping at Amazon! The City of Dallas Sanitation Services is launching a new mobile app for residents to find their collection schedules and sign up for reminders. The app is free to download on all Apple and Android mobile devices. Once residents download and sign up for the app, they can receive a personalized collection calendar and receive automatic reminders via email, tweet, voice mail and/or text. The app can be downloaded by searching Dallas Sanitation Services or go to www.DallasBulkandBrush.com. The app also has information on how to properly reuse, recycle, compost or dispose of various materials. Once residents have the app or are signed up online, they will receive weekly reminders and will also be notified of schedule changes due to weather, holidays and upcoming events. Additionally notifications can be sent with information on seasonal campaigns such as electronics recycling, batteries, oil, paint, and antifreeze collection, Christmas tree recycling and more. While Sanitation Services will continue to produce and distribute printed waste collection calendars to residents, they hope this added online service will help to reduce call volumes, while improving customer service and response times. 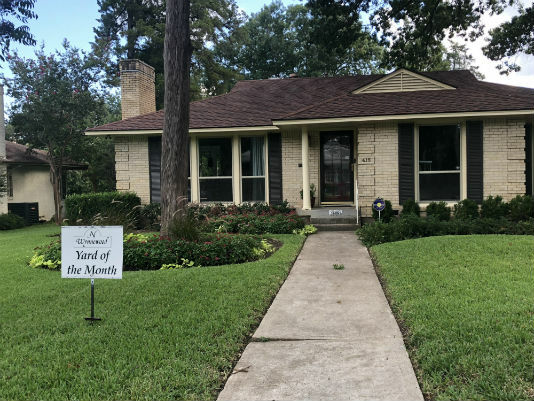 May Yard of the Month Nominations Due! Wynnewood North Neighborhood Association is an IRS designated 501(c)3 non-profit organization. Your donation helps with the costs of running the association and having neighborhood events.Remember: Donations are Tax Deductible and receipts for donations are provided upon request. Did you know Wynnewood North Neighborhood Association has a fan page on Facebook? WNNA is a non-profit, all-volunteer organization and we always need volunteers for various projects, events or day-to-day activities. Do you have a special skill or something you are passionate about that you think would help the neighborhood?